Opening a bag of Chips Ahoy! releases a much stronger cookie aroma than expected. I thought I’d need to stick my face all the way into the bag to experience the fake cookie scent – thankfully I didn’t have to go that far. They smell sort of like the butter flavor extract that I slip into my Boston Cream Pie cake batter. Toasting Chips Ahoy! 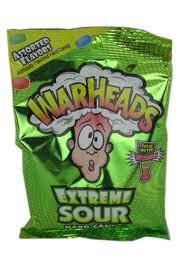 does not improve their flavor. Neither does frying them in a skillet. I did not try deep frying, I think they would benefit from a chocolate tempura batter in that scenario. 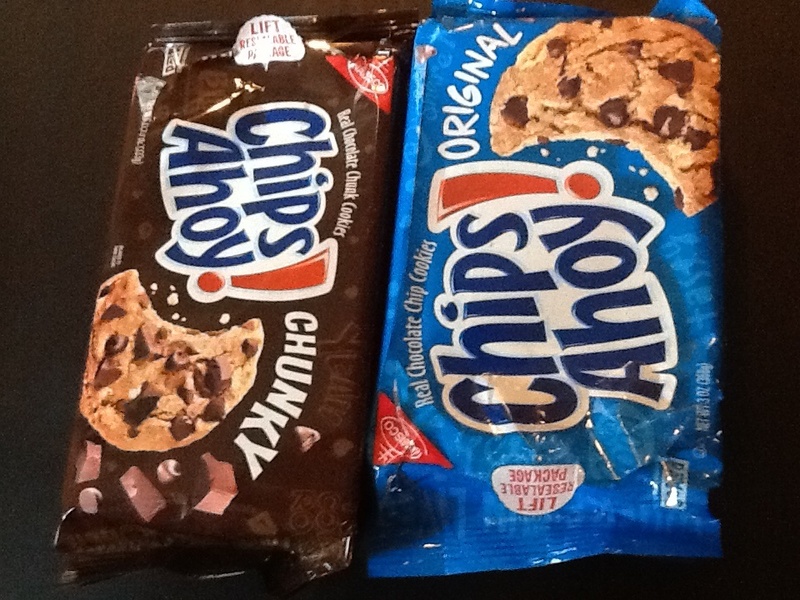 To the naked eye, Chips Ahoy! with chunks don’t look much chunkier than the original. When I took a cross section (aka broke the cookies in half) I saw some larger chocolate strata in the chunky version. Chunks make the cookie crumble differently . . . and therefore wrongly because I want my Chips Ahoy! to taste like they did 20 years ago. I didn’t realize that I had such strong feelings about my mass produced cookies, but it turns out I do. Thank goodness I didn’t venture into the Chewy varieties. It’s best to have milk on hand.